Public Enterprises Minister Pravin Gordhan and the Eskom board on Thursday moved to assure the public that the power utility was working to fix the current power outages, although it was difficult to predict when the next breakdown of generation units would be. "The assurances are going to be difficult because we don’t know when the next break in the system is going to be," said Gordhan, as he briefed media at Eskom headquarters north of Johannesburg. He said measures were in place to avoid outages over the festive season, saying the period from December 15 to January 15 often had low demand, and dismissed reports of a "dark Christmas". "Between 15 December and 15 January, there is a lower demand in any case because of the shutdown of industry, and no load shedding should be expected during that period," said Gordhan. Eskom has recently implemented rolling load shedding as it battles constrained capacity, due to low coal stock piles and a breakdown of systems. 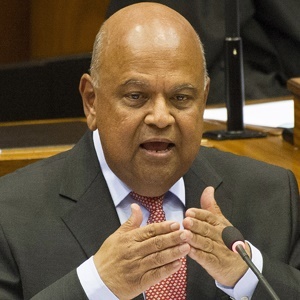 Gordhan said officials were hard at work to ensure that a dark Christmas was not on the cards, adding that a much more concrete message would be given next week. He attributed the current operational challenges at Eskom to various leadership shortcomings, adding that the company was at the "heart of the state capture". "We are beginning to feel the effects of state capture," he said. Despite the problems facing the cash-strapped power producer, Gordhan insisted that there was no intention to privatise Eskom, whose debt is said to stand at over R400bn. He said claims that government wanted to privatise the key public entity were "mischievous". Last month, Eskom Chairperson Jabu Mabuza said the company’s debt burden was "impossibly high", as interim results showed that profit plunged to R671m, in the six months through September, from R6.3bn a year earlier. Gordhan also lambasted Eskom for not employing more visible communication methods on load shedding, as the company has so far been posting power cuts schedules on its website and on social media. He said: "Sending a tweet about load shedding is not communication."